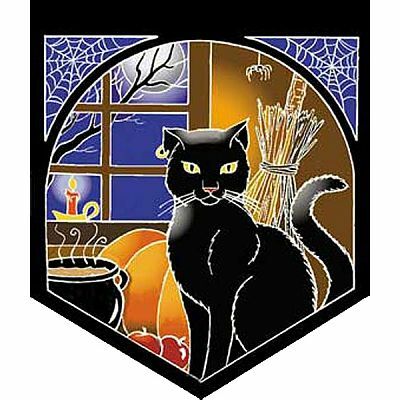 - Celebrating Samhain (Halloween), the night the year turns to winter, and the veil between the worlds of the living and dead is at its thinnest. Pennant measures 16" wide by 20" tall. Rayon batik. Banners have a tube sewn at top for a rod or string to hang them. Do you have any other questions about our Cat with Cauldron Pennant?